Coaster has been selecting fine furnishings for 25 years. We search for values throughout China, Malaysia, Mexico and the United States. This allows Coaster to bring unique products at unmatched value to you. To improve our ability to better serve you, we have begun a major expansion of our distribution centers. This year we doubled our warehouse space in Texas and Los Angeles allowing us to increase inventory levels nationwide. We are also making a major investment in our inventory tracking and reordering systems to assure that we will have the products you need when you request them. 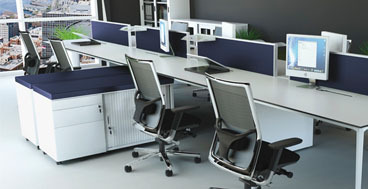 Coaster Office Furniture has utilized our vast resources to bring to you commercial "in stock" wood furniture at affordable prices. We now have wood and wood veneer desks, conference tables, home office and seating in stock in Los Angeles, San Francisco, Dallas and Atlanta! Enjoy traditional elegance with our mahogany finish Westchester Series or choose the value of the Bradington Series with an inlay wood top. For contemporary we offer both a mahogany or cherry finish on the Sandoval series . . . available in versatile styles for every need. Our offering is ever-changing and expanding to meet your furniture needs and to afford you the best value available today. We invite you to review our catalog and price list. 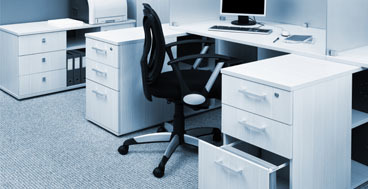 We appreciate our customers and their support and look forward to servicing you with Coaster Office Furniture.